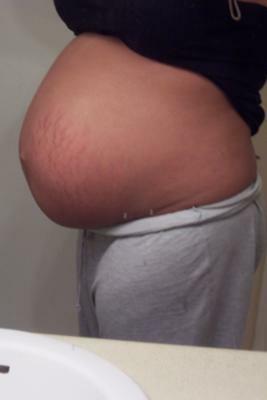 Im 27 weeks along with twin girls (fraternal). Last Dr. Apt was 4 days ago and the girls are 2 lb 14 oz, and 2 lb 11oz. Perinatal dr says my cervix is nice and long and that a good thing. Only 86 more days till my due date 4/20. We are looking forward to meeting our lil ones. I too am pregnant with Fraternal Twin Girls. I'll be 28 weeks tomorrow and am due on 4/25. Just found out that my girls are 2lb 14oz and 2lb 6oz. So many similarities...not to mention that yours is the first belly that I can actually say resembles my own. Good Luck to you and your family!